Before a site is selected or an architectural plan is drawn, the process begins with contemplation—deep thinking about values, lifestyle, community, family, place, and space. Your architect and contractor are tasked with translating what you have thought about—for months, maybe years—into a concept with a plan for execution. More than merely hired construction professionals, these partners function as trusted advisors, knowledgeable specialists, sounding boards, and the focal point of all communication. As excavation begins and a foundation is poured, the importance of details only increases exponentially. For a truly well-crafted and exceptional home, the expertise and personal investment of the contractor’s team must exist at every level—from the bracing of the frame to the fitting of the floorboards to the installation of every kitchen drawer. During the construction process, the contractor must be an effective leader who motivates his staff to take ownership, be creative, and care as much about the house as the owner. Schlauch Bottcher Construction’s decades of success continues with three human resources—brothers Chad and Jamie Bottcher, and Nate Boersema. Each brings a unique background and skill set to any project. While Chad Bottcher does not currently practice architecture, his architectural degree enables him to be an effective intermediary between the architect and the client, as well as between the design team and on-the-ground tradesmen. Likewise, Jamie Bottcher’s engineering degree offers the same value-added experience for the client and staff members. The Bottcher brothers are well-versed communicators who help connect the client with the architects, engineers, and material suppliers and ultimately, with the craftsmen. Nate Boersema, a partner in SBC, handles the timber operations within the company. Being knowledgeable about building materials allows Boersema to facilitate the process and guide the construction. 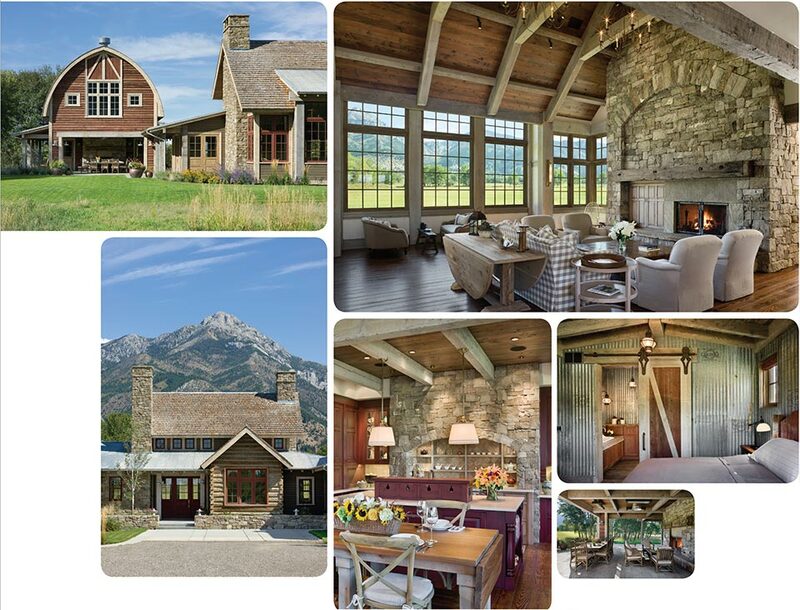 Each SBC custom home is unique in its use of lumber, stone, hardware, tile, granite, and steel. 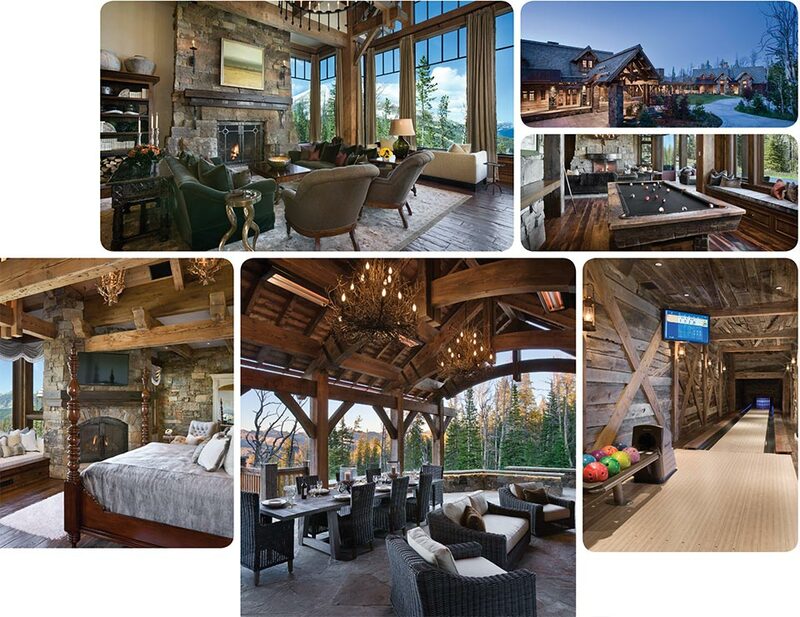 Within SBC are the human resources to create a truly exquisite and one-of-a-kind residence. After the last nail is pounded and the keys are turned over to the homeowner, SBC’s relationship with that home and homeowner is not over. 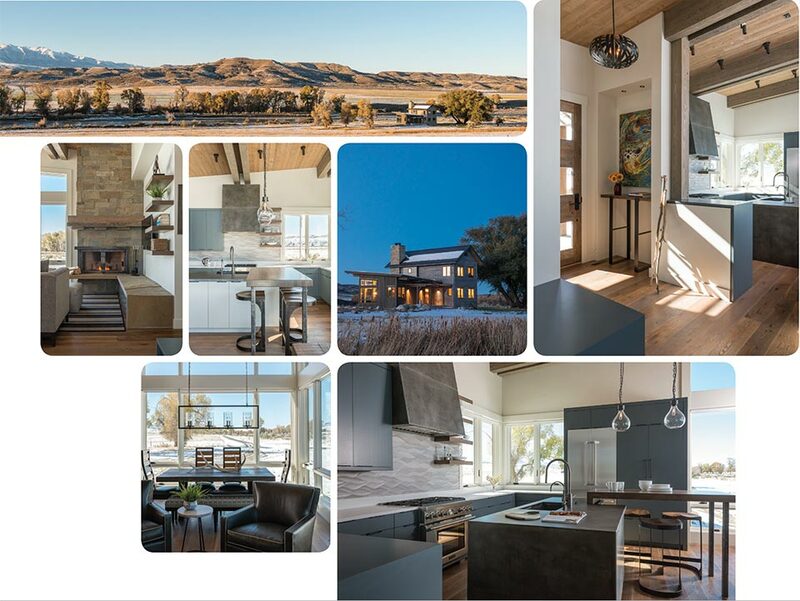 After all, the Bottcher brothers know that client, and their dreams, and every detail of that home; they know their clients’ values, lifestyle, community, and family, and moreover, they know the place and space. Contemplation. Sometimes fitting in is more difficult than standing out. Conception. Every farm has a barn. The barn is the center of the barnyard, where the activity happens. But when you have farmland but don’t work the farm, why have a barn? After all, you have no livestock, hay to store, or machinery to repair. For this couple, a barn symbolized the continuation of a rural lifestyle, a cultural touch point understood by the neighbors, and a connection between the pastoral valley and the rugged mountains. The challenge for SBC was to build a barn that looked historic; a shiny new barn would not integrate well with the community or landscape. Furthermore, this barn was not to be used as a barn but rather as a living space with a rec room, outdoor patio, and two bedrooms in the loft. Construction. On most farms, buildings are constructed over time. As time and money allows, structures are newly built, re-purposed, demolished, or left decommissioned. Materials from these buildings take on a history as they may be re-used in another structure or find another use. SBC continues this tradition by mixing 19th- and 20th-century building techniques and materials with contemporary, 21st-century structures. Contemplation. In our fast-paced, technology-driven world, the values of bigger, faster, more complicated, and excessive get our attention. Conception. The property near the banks of the Yellowstone River offers a retreat from the unrelenting speed of today’s world, a lifestyle with agrarian roots, a location with sweeping views of the Crazy Mountains, a nook protected from the wind, and access to fishing holes that the owner could call his own. Like with any project, the challenge for SBC and Reid Smith Architects was to translate the homeowner’s vision and concept into concrete plans. But unlike many of their joint ventures building large, opulent, and grand homes in the mountains of the West, this challenge was to create a modest, understated structure with not-so-modest concepts. The chimney serves as an anchor to the structure, connecting the ground with the sky and melding an interior space that protects with an interior space that exposes. Under a more traditional gabled roof, the bedrooms, bathrooms, entry, and outdoor seating area are sheltered from wind and other elements. Under a more contemporary shed roof, the kitchen and living room have large windows that open the space to the surrounding landscape. Post-production. Even after the project is completed, the partners’ relationship with their clients remains close. 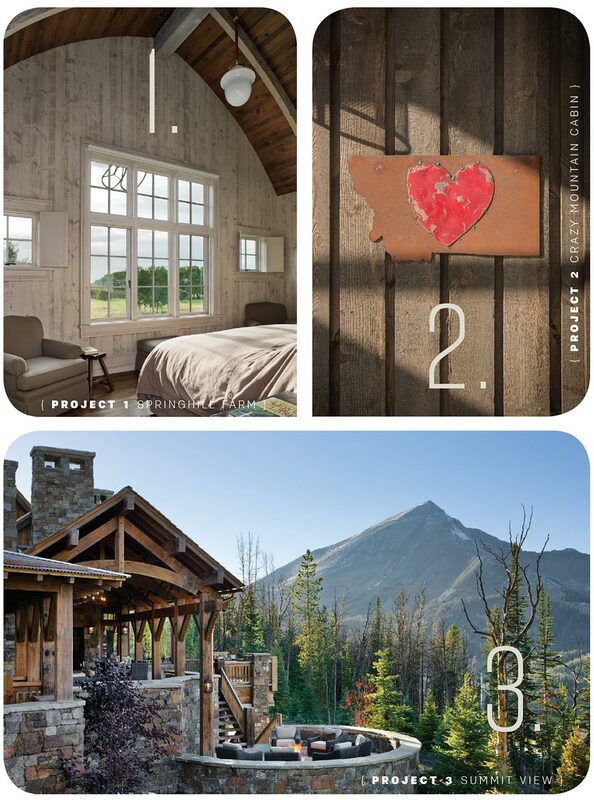 The owner contemplated a simple fishing cabin and wants his Montana lifestyle to remain simple. When the home needs some maintenance and loving care, he can simply call Chad who knows his cabin as intimately as he does. Contemplation. 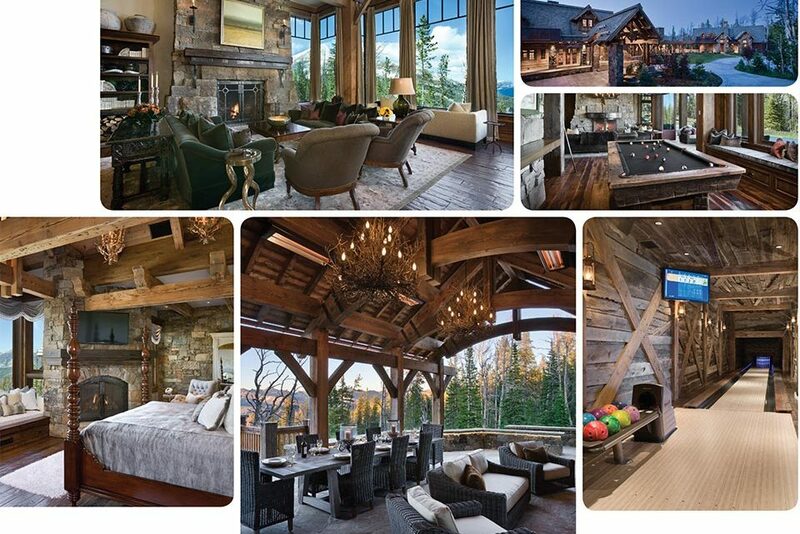 When building a multi-generational vacation home, what brings the family back year after year? Conception. The most compelling draw to Big Sky is nature. Locati Architects designed this home for free and easy movement between the interior and exterior environments. Throughout the structure, doors open to patios, decks, outdoor seating areas, and trails. With large, floor-to-ceiling windows on the main level, light fills the grand room, dining room, kitchen, and bedrooms—bringing the views indoors. With a ski-in/ski-out location, access to the slopes only requires a simple dropping of skis and clicking into bindings. To keep family members of all ages engaged and entertained, a rec room was built downstairs. As you’d expect, the space features a pool table, large-screen TV, and game tables, but what you might not expect is a bowling alley. Designed to resemble a mineshaft, the alley is lined with reclaimed timbers and lit by lanterns, a reminder of Montana’s mining heritage.